Installation photo of Dinh Q. Lê: True Journey Is Return. Photo by Benjamin Blackwell. Supported, in part by a Cultural Affairs grant from the City of San José. The exhibition is sponsored by The Lipman Family Foundation, the Richard A. Karp Charitable Foundation, Tad Freese and Brook Hartzell, Lucia Cha and Dr. Jerrold Hiura, and Evelyn and Rick Neely. Additional support comes from Lisa and Keith Lubliner. In-kind support for equipment is provided by Genelec, NEC Display Solutions, and BrightSign. S. Sayre Batton, Oshman Executive Director, invites you to the opening celebration of Other Walks, Other Lines, an original exhibition organized by the San José Museum of Art. 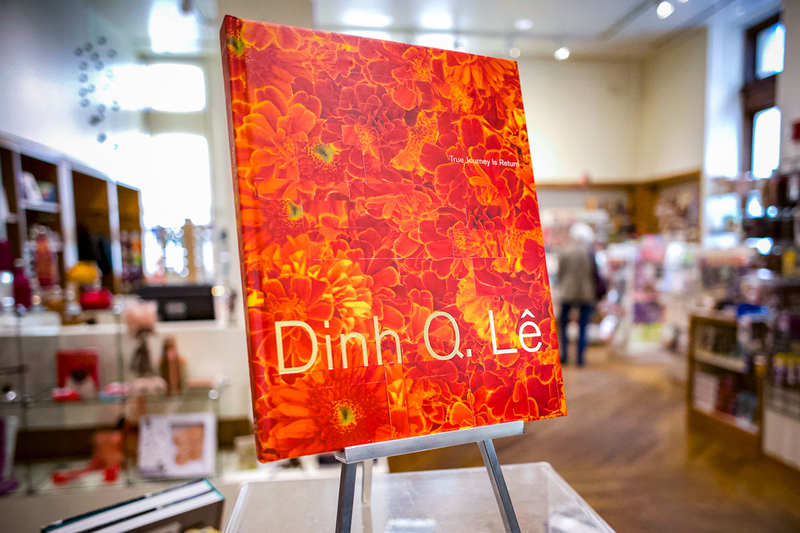 Tour the exhibition Dinh Q. Lê: True Journey Is Return with Rory Padeken, associate curator.